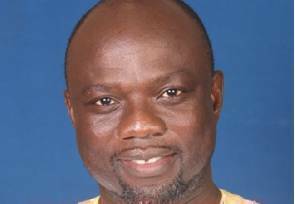 Abuakwa North Member of Parliament, Joseph Boakye Danquah Adu, has been stabbed to death at his residence at Shiashie in Accra. It is not clear whether the New Patriotic Party (NPP) legislator was killed by armed robbers or a hitman but police have begun investigation in earnest. Greater Accra Region Police Commander COP George Dampare confirmed the killing of the MP to Joy News Tuesday morning. Police have been collectng evidence and examining the MP's body. Joy News' Derrick Ekwow Sam has been to the late MP's residence and reports family members have been grief-striken by the murder of Mr Adu. JB Dankwa Adu was born on July 2, 1965 and was married with two children. 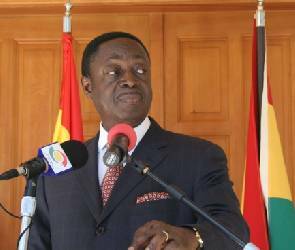 In 2010, he was deputy Minister for Women and Children’s Affairs under the erstwhile Kufuor administration, and won Abuakwa North seat in the Eastern Region in the December 2012 elections after defeating the National Democratic Congress’ Victor Smith. He was a 19-member Special Budget Committee chaired by the Majority Leader. In August 26 2010, his girlfriend, Narteley Nettey Yirenkyiwaa, a-24-year-old allegedly conspired with two men, Charles Antwi and Nana Yaw Ampong, to rob the MP at the lady’s East Legon apartment. According to the police, on the morning of August 26, Ms Yirenkyiwaa called JB, her estranged boyfriend, to meet her at Protea Hotel. When they met, she asked for financial help from him and they agreed to meet later at her house. When JB got to her house, he met Yirenkyiwaa outside, who took him into the house. They then proceeded to her bedroom where she undressed him. State Prosecutors said after this, Antwi and Ampong came out of the bathroom where they were hiding and started taking photographs. They also attacked JB with a knife and took away his pair of trousers which contained GH¢1000. 00. The three had pleaded not guilty to the charges.